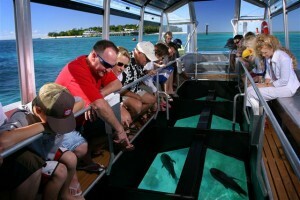 What are glass bottom boats? Glass-bottom boats are boats with transparent sections made from glass or other appropriate see through materials. The see through sections sit below the surface of the water so people can get a better view of fish or other interesting things that lurk beneath the surface.